Flirty, loud, vain and hard partying, it’s time for Lydia to get some love. 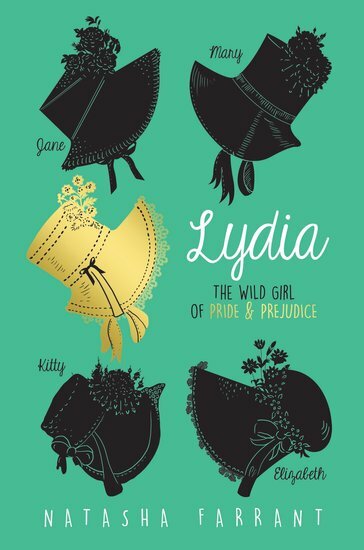 Lizzie Bennet might be smart and straight, but Lydia’s a modern bad girl stuck in Georgian times! Would you rather: (A) party all night or (B) sip tea in the parlour? (A) Flaunt the latest daring fashions, or (B) cover up in a bonnet and gloves? (A) Swim in the sea, or (B) sew handkerchiefs? If you picked all As, you might be a bit like Lydia! She’s the youngest Bennet girl in the classic book Pride and Prejudice. Her sisters are all about being good. But Lydia’s all about good times! Whirlwind romances, seaside scandals, promenades, parties, gossip, secrets – and true love…?